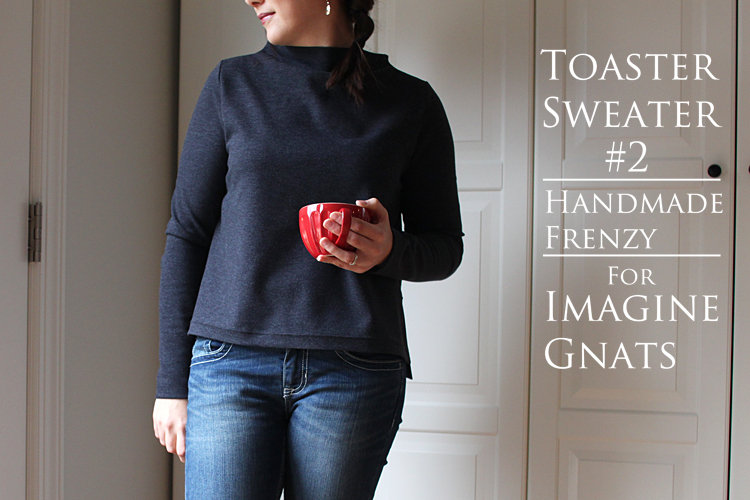 I'm over at Imagine Gnats today, talking all about my Toaster Sweater #2 that I sewed up in this amazing soft and cozy ponte de roma knit from her shop. Head on over and read the post here. Just a hint, it sewed up like an absolute dream! 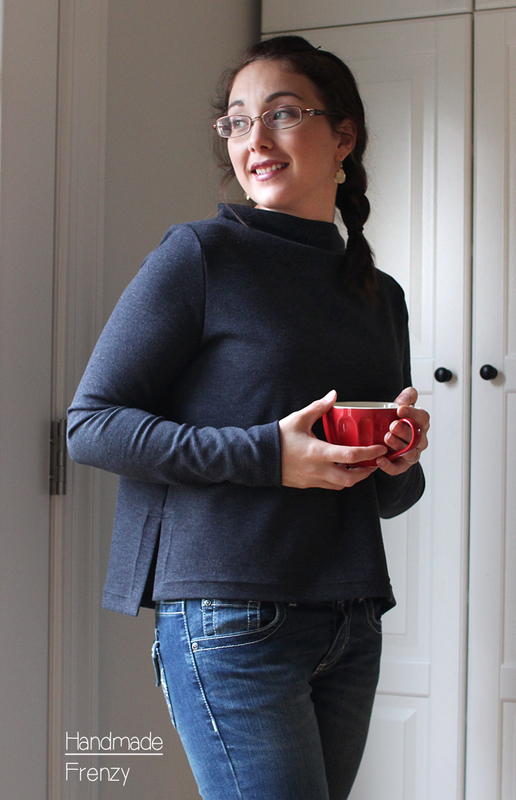 I'm so happy about my cozy new sweater, definitely planning to sew up a few more of these for this winter. 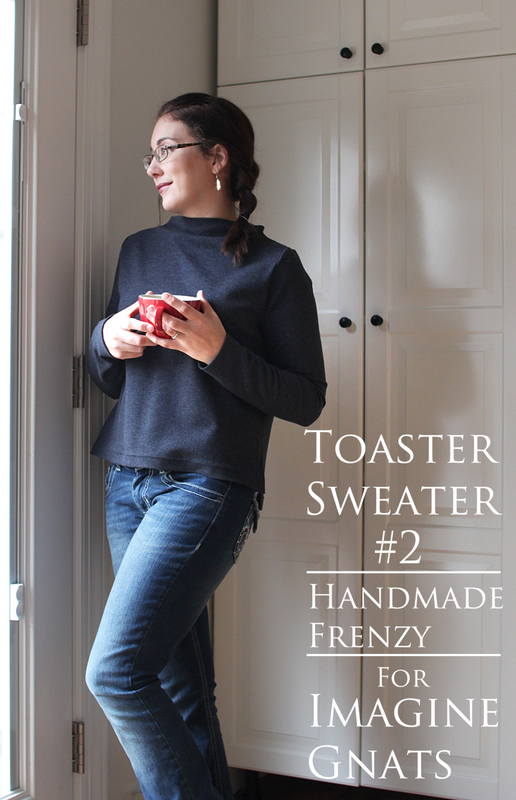 My wardrobe is strangely lacking in the cozy sweater department!